Maximizing School Librarian Leadership: Building Connections for Learning and Advocacy will be published by ALA Editions in June, 2018. As a preview to the book, I am using one blog post a month to share a one-page summary of each of the nine chapters in the book. “An effective school library plays a critical role in bridging digital and socioeconomic divides” (AASL 2018, 14). “Digital literacy is the ability to use information and communication technologies to find, understand, evaluate, create, and communicate digital information, an ability that requires both cognitive and technical skills” (American Library Association 2013). 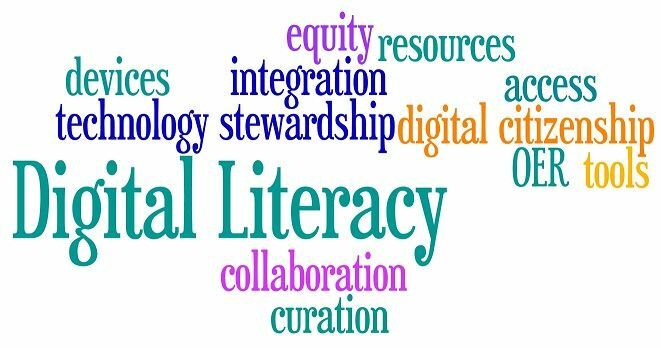 As educators with expertise in curating and integrating digital resources and tools into curriculum, school librarians and libraries are perfectly positioned to be leaders and coteachers of digital literacy. School librarians serve as technology stewards. Stewardship is an activity that requires one to practice responsible planning and management of the resources one is given, or over which one has authority. 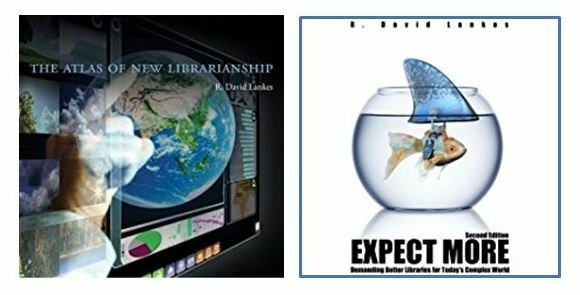 In school libraries that serve as hubs for resources, effective school librarians curate resources that support standards-based curricula as well as students’ needs for independent learning. Students, families, classroom teachers, and administrators rely on proactive library professionals who plan for, manage, and integrate digital learning tools and experiences into the daily school-based learning lives of students. Access and equity are core principles of librarianship. With their global view of the learning community, school librarians have an essential role to play as digital literacy leaders who help address gaps in technology access. In schools with plenty, school librarians advocate for a digitally rich learning environment for students and coteach with colleagues to effectively integrate digital resources, devices, and tools. In less privileged schools, librarians will dedicate themselves to seeking funding and advocating for students’ and classroom teachers’ access to the digital resources and tools of our times. 4. Selected Criteria and Possible Evidence for Future Ready Librarians. American Association of School Librarians. 2018. National School Library Standards for Learners, School Librarians, and School Libraries. Chicago: American Association of School Librarians. 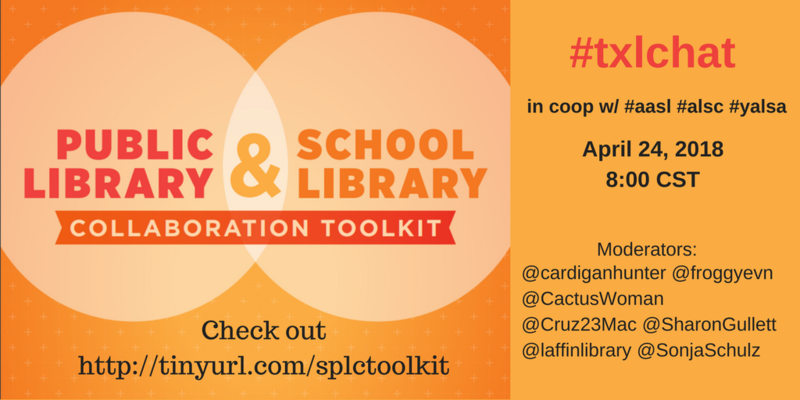 The AASL/ALSC/YALSA “Public Library & School Library Collaboration Toolkit” was published in early February. I wrote about it on my blog that month. If you so choose, you can access the toolkit or view my summary before participating in the chat. Tomorrow, April 24th at 8:00 p.m. Central Time, Mara Rosenberg, Natalie Romano, and I will moderate a Twitter chat hosted by #txlchat. Mara, Natalie, and I are members of the AASL/ALSC/YALSA Interdivisional Committee on School/Public Library Cooperation. We owe a huge thank-you to #txlchat moderators for giving us this opportunity to use their Twitter channel for the chat. Q1. What advice would you offer to librarians beginning a new partnership w/their counterpart in a school or public library? What steps have aided in the success of your past collaborations? Q2. How have you collaborated w/your school or public librarian colleague to prevent summer slide/summer reading loss? Q3. What does your public/school library collaboration look like during the school year? Q4. What tools do you use to keep up with your public or school librarian throughout the year? What works well and what could be improved? Q5. Do you have templates to share that can help others further develop their school-public library #collaboration? The toolkit process and final product are an example of how the American Library Association sister divisions can work together to create a useful resource for the benefit of all librarians who serve the literacy needs of children, young adults, and families and help co-create empowered literacy communities. We hope you will join us for the chat and share your ideas and experiences of school-public library collaboration. Our goal is for you to leave the chat with new ideas and inspiration for starting or strengthening a collaborative conversation with your school or public librarian counterpart who can partner with you to grow literacy in your community. This week, School Library Month (#SLM18) activities focus on outreach with the community. To my way of thinking, there are two communities to which effective school librarians are accountable – the community of the school and the community outside the walls of the school. The imperative to make connections in both can be the same. Like Lankes, I believe “the greatest asset any library has is a librarian” (2011, 29). But librarians isolated in a library with the “stuff” and siloed away from the needs of the community cannot reach their capacity to lead. For school librarians, Lankes argues that “it is time for a new librarianship, one centered on learning and knowledge, not on books and materials, where the community is the collection, and we spend much more time in connection development instead of collection development” (2011, 9). Connection development requires leadership. What does it mean to lead? Leadership is about influencing others. It’s about making changes in the world – small and larger – that help other people better their lives. In order to lead, school librarians must be “embedded” in the community. They must serve on essential school-based committees and in community-based organizations. When we serve, we build relationships, the essential foundation for making change—together. According to Lankes, knowledge is created through conversations, which involve both listening and speaking. When we listen to the dreams and goals of our school-based colleagues and people in the wider community, we learn how we can help them achieve their potential. When we help others, they will reciprocate. Through this daily practice of service, school librarians develop advocates for their programs and for their positions, which are actually one and the same. “Librarians do their job not because they are servants or because they are building a product to be consumed by the community, but ultimately to make the community better. Community members don’t support the library because they are satisfied customers, but because the library is part of who they are” (2012, 37). 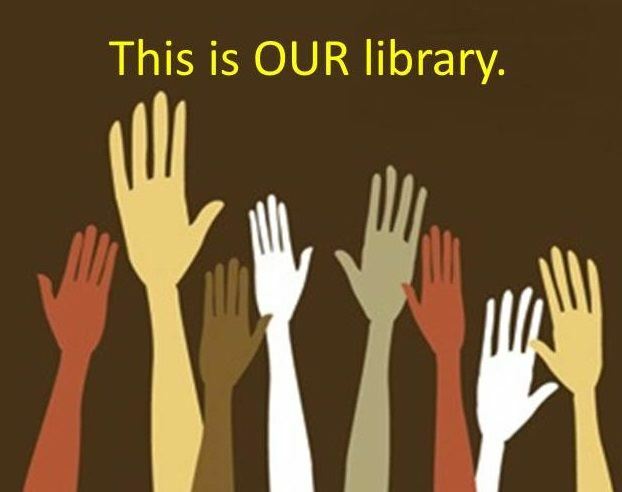 When the community advocates for the library, they do so because they have experienced the benefits for themselves. It’s in their self-interest. “The difference between a good and great comes down to this: a library that seeks to serve the community is good, and a library that seeks to inspire your community to be better every day is great. You can love a good library, but you need a great library” (Lankes 2012, 111). “…To facilitate is not to sit back and wait to be asked… no one ever changed the world waiting to be asked. No, you (the community members) should expect the facilitation of librarians and libraries to be proactive, collaborative, and transformational (bold added). Libraries and librarians facilitate knowledge creation, working to make you and your community smarter” (2012, 42-43). For me, Lankes’ work is a call to action. Rather than simply serving our communities in a passive way, effective school librarians spread their influence into every nook and cranny of the school. They use their knowledge, expertise, and access to information resources to be proactive in helping every student, classroom teacher, specialist, administrator, and parent achieve their goals. They form partnerships and collaborate with others in the school and in the larger community to improve the lives of everyone. Through the lens of “community as collection,” school librarians are positioned to act with purpose and passion to transform their communities. During SLM, school librarians showcase the learning activities that can happen because of the work of an effective school librarian and a collaborative library program. Can we do more? I think so. Let #SLM18 be a call to action. Our communities should expect more from us and we should step up our literacy leadership and go forward within our school communities and with our larger communities to create futures that benefit all. Lankes, R. David. 2011. The Atlas of New Librarianship. Cambridge, MA: MIT Press, 2011. _____. 2012. Expect More: Demanding Better Libraries for Today’s Complex World. CreateSpace Independent Publishing Platform. “A beautiful question is an ambitious yet actionable question that can begin to shift the way we perceive or think about something—and that might serve as a catalyst to bring about change” (Berger 2014, 8). Deeper learning is future ready learning. It requires that students interact with academic content in ways that engage them in critical thinking and problem solving. They must tap into curiosity and apply the 4Cs—creativity and innovation, critical thinking and problem solving, communication, and collaboration (P21)—to discover and create new knowledge. Inquiry learning is a process that fosters deeper learning. Questioning is at the heart of inquiry and can set students on a lifelong path of learning. When students develop authentic questions, they become invested in discovering and filling the gaps in their knowledge. Educators can guide them to explore various perspectives and collaborate with others to reach answers to their questions and solutions to problems. With a focus on effective questioning strategies, educators support students in striving for innovative thinking and creating. Many education-focused thought leaders and organizations place a greater and greater emphasis on rigor. In many schools and districts, an overemphasis on standardized testing has resulted in fewer opportunities for students to do more with the required curriculum. When educators coplan and coteach inquiry units, they activate students’ curiosity. They engage them in delving deeply into personally meaningful, authentic questions and developing new knowledge that can be applied and shared in the real world. In short, they have codesigned and coimplemented a more rigorous learning environment for students. Questioning is at the center of successful inquiry. “Learners who are empowered to deepen their own learning will acquire new knowledge by thinking critically and solving problems” (AASL 2018, 28). School librarians who commit to improving their ability to stimulate students’ questioning have an essential role to play in coteaching with colleagues to provide students with opportunities for deeper learning. Educators who are skilled at launching inquiry and supporting students as they develop personally meaningful questions serve as deeper learning instructional leaders in their schools. Berger, Warren. 2014. A More Beautiful Question: The Power of Inquiry to Spark Breakthrough Ideas. New York: Bloomsbury. I was invited to facilitate two sessions at the conference. Last week, I gave a brief preview and made connections to my Wednesday, April 4th session “Intercultural Understanding through Global Literature.” You can also view the presentation wiki that includes handouts and will include the slides after the conference. On April 5th, I will be sharing “Winning the Game with Instructional Partners.” In this session, we will focus on the leader and instructional partner roles of school librarians and make connections to Texas and national school library standards. If you are attending TxLA, I hope to see you at one or both sessions or to cross paths with you during the conference. Their article and the research they share fully supports the premise behind “Winning the Game with Instructional Partners,” my forthcoming book, and my years of teaching, scholarship, and service. It provides evidence on which to further develop school librarians’ practice, to build effective school library programs, and to grow our profession. The correlational research cited in the article has been collected over a twenty-five-year period—not coincidentally about the same number of years I have been involved in the profession. While the presence of a state-certified school librarian is correlated with better student learning outcomes, particularly in reading, the quality of a school librarian’s work also matters. • Providing reading incentive programs” (Lance and Kachel 2018). To summarize, effective school librarians serve as leaders and instructional partners. The activities and priorities of more effective school librarians have a school-wide impact on learning and teaching in their buildings. “Fully integrated library programs with certified librarians can boost student achievement and cultivate a collaborative spirit within schools. School leaders who leverage these assets will realize what research has shown: Quality school library programs are powerful boosters of student achievement that can make important contributions to improving schools in general and, in particular, closing the achievement gap among our most vulnerable learners” (Lance and Kachel 2018). April is School Library Month (#AASLslm). “Winning the Game with Instructional Partners” supports the Learner and Educator Connections identified by AASL’s SLM Committee. There is no better time than the present to step up our literacy leadership and reach out to collaborate with administrators and classroom teacher colleagues to maximize school librarian leadership by building connections for learning and advocacy. What are you doing every day to practice the leader and instructional partner roles in order to transform learning and teaching in your school? If you are attending TxLA, come to the “Winning the Game with Instructional Partners” session and share your strategies. See you there!